My Business Phone (Almost) Never Rings. And That Makes Me a Genius. I remember back to my first few years in business when I was tethered to my BlackBerry, constantly returning phone calls and replying to emails. My business phone rang so much that I needed to hire an answering service. Things are different today. For one, I am not shackled to my smartphone! And two, and this is a biggie – my office phone rarely rings. My non-ringing business line is not a bad thing. I have worked strategically to create a web self-service strategy that answers more than 95% of my customers’ questions. And this well-designed strategy has made my support calls nearly vanish. No doubt, my business is a small business. Most large businesses won’t slash incoming calls by 95% with even the best self-service strategy. But research cited by Harvard Business Review shows that by improving the help section on your website, you can reduce calls by 5% — easily. Three out of 4 consumers prefer to solve their customer service issues on their own. And 65% of consumers say that they feel good about themselves and the company they are doing business with when they resolve a problem without talking to customer service. Here’s one last statistic for you. Fifty-seven percent of inbound calls come from customers who went to the website first! That startling statistic is from Harvard Business Review. Here’s how I make my customers feel good about themselves and my company, while reducing my support call volume. Five simple ways. My biggest selling online product, and consequently the biggest driver of my support calls, is my Customer Service eLearning training. After launching this product, I sat down and studied all of the reasons customers had to call us or email us after enrolling in the eLearning program. Initially I was going to simply put together an exhaustive FAQ page, but I realized that I love to learn from short video tutorials, so I took a chance and thought my customers might like this type of video support as well. I hit the jackpot! My video tutorials immediately slashed the support calls that we used to get right after a new customer enrolled their company in our eLearning. We track stats on video tutorial views and our customers really watch these videos and they tend to watch them multiple times. Here’s a short sample of one of our eLearning video tutorials. It’s not slick or pretty, but it gives my customers the answers they need. My customers tended to often send us screen shots when they ran into a problem. Last summer my daughter and I created lots of screen shot tutorials to help our new eLearning customers quickly get familiar with their new training platform. Screen shots are super simple to create and they are so easy for your customers to grasp. Here’s one example of a simple support question answered through screen shot. We have learned that new customers of our customer service eLearning program are eager to get started. The moment they enroll in our training, we get busy on our end to work our magic, but it takes a few hours before their new training private website is created and published. We created a Welcome Page that tells our customers what they can expect first and it tells them what they should be doing as they get ready to launch their new training. Here is our simple welcome page, if you’d like to take a look. A support approach we just started this year was to implement short videos to explain how easy it is to work a process in our products. We know it’s easy, but our written ad copy doesn’t always make it sound as easy as it truly is. For instance, we used to get a lot of calls from people interested in our eLearning training, but they have questions. Like, “Can we use your eLearning if we don’t have our own LMS?” and “What does your platform look like?” So, we created a simple 90-second explainer video to answer these questions for customers. Here’s the short explainer video we created to address common questions. And then we have this explainer video. This one is longer, 4 minutes, and we created it to both sell and to answer questions that our long web page addresses. We know not everyone will take the time to read all of our web copy. Of course we also have the good old-fashioned frequently asked questions page. Our FAQ page is based on actual questions our customers have asked us over the years. It’s a simple, yet comprehensive page. These 5 web self-service strategies have given my customers a faster and easier customer experience – and it makes them feel good, since research shows customers feel good about themselves when they can get help without reaching out to the company. 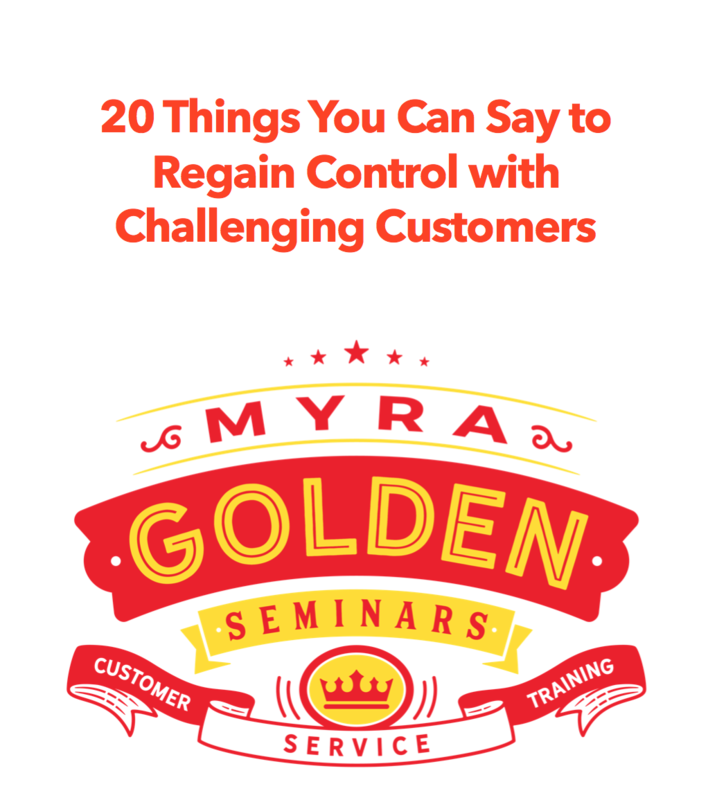 These strategies have also un-tethered me from my phone so that I am free to spend my days focusing on creating new customer service content for my onsite training, keynotes and eLearning. You now know our customer support is pretty amazing. If you’re looking for relevant and engaging customer service eLearning, you should check out my 10-course customer service eLearning suite. Customer, Serve Thy Self, Aspect.com, April 2, 2015.